Sky Forms Overview Features Demos Testimonials Buy now! Sky Forms is a set of beautiful form elements. 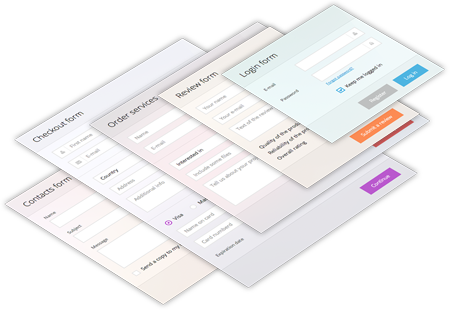 It has large amount of customized elements, different color schemes, responsive grid system and allows you to create forms of any complexity and for any needs: login, registration, contacts, review, order, comment, checkout, etc. 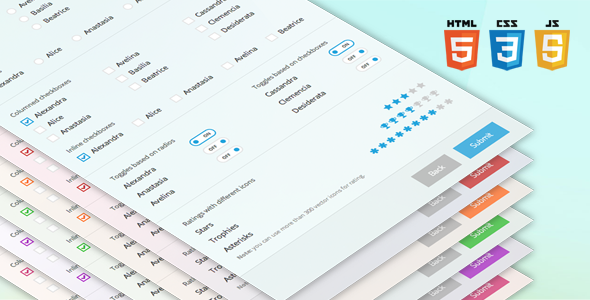 Contains large amount of customized elements: text inputs, file inputs, selects, multiple selects, textareas, radios, checkboxes, and buttons. Includes progressive form elements: input with autocomplete, toggles and ratings. 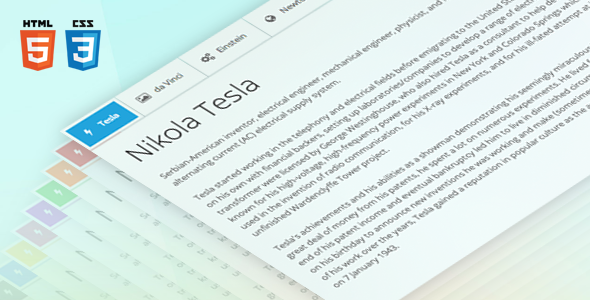 Each color scheme has it's own css file, that can be easily modified for creation your own colors. Each form element has 6 states: normal, hover, focus, error, success and disabled. 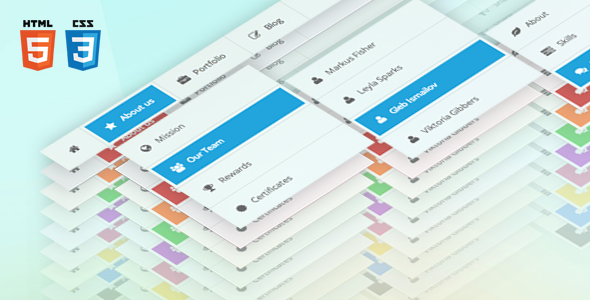 Fully responsive and utilizes 6 fluid columns and supports offsets. Tooltip appears for input or textarea elements (on focus) and has 6 different positions. 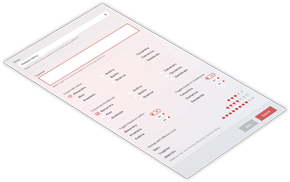 You can use these examples as a base for creation your own forms simple and fast. Let's stars with commonly used forms. All these demos included to the pack and you can use them as a base for creation your own forms. Each scheme has it's own css file, that can be easily modified to create your own color scheme. This is beautiul, and very easy to customize. Propably one of the best thing i bought in here – and believe… i bought a lot! I love the forms and the easy layout of the CSS. Voky does great work and is very responsive to questions! I’m certainly glad I found this gem. Great work. I’ve bookmarked it and I’m eagerly waiting for the pro version. I bought this simply because the color blending was really beautiful. I’m always jealous of people who just seem to be able to take CSS and create something gorgeous of a few lines of code and some gradients. You make it look easy, which believe me, I know it’s not, at least for me. Sometimes I buy them to use, sometimes to learn from, with these, I’m doing both. Nice work. You might be interested in other products created with the same level of quality.